IT MAKES YOUR BLOOD BOIL DOESN’T IT? The number of university spaces we’re giving to foreign students from South East Asia? The fact they’re getting loans with better terms than our local kids? It isn’t fair, I’ll grant. But, it’s not the students’ fault for wanting to better themselves. And if the schemes are there, we can’t blame them for wanting to apply. IMPORTANT THING IS FOREIGN STUDENTS DON’T JUST TAKE, THEY ALSO GIVE. Music isn’t what most Singaporeans associate with the Vietnamese scholars at the National University of Singapore and Nanyang Technological University. Mention them and one immediately thinks of computer nerds or biz-ad whizzes. But Richard Tang Dat Hanh and Pham Duy Duc are 2 young men who are bringing more than their academic talents to Singapore. THEY’RE ALSO GIVING US MUSIC, PASSION AND INITIATIVE. Tang, who’s 25 and a Business Administration graduate from NUS, is the founder of Harita Productions, the musical adviser to usic Revolution, Singapore’s Vietnamese Idol Series, as well as 2 sold out concerts commemorating Vietnam’s great musicians Pham Duy and Trinh Cong Son. He hails from the mountain city of Dalat. Pham, aged 20, is Singapore’s 2012 Music Revolution Winner Vietnamese idol and a 2nd year Computer Engineering student at NTU comes from Hanoi. Both have awesome voices. But it’s not just their singing or their brains that I want to draw to your attention. It’s how well balanced they are about pursuing their passion while fulfilling their responsibilities as good Asian sons. I first heard Richard Tang singing at a private fundraiser for Vietnamese migrant workers in Malaysia. At the fundraiser, he was also selling CD’s of his own compositions to help a sick friend. Funds raised at the Trinh Cong Son concert that his Harita Production Company organized in November 2012 went to a charity helping provide at least one meal of meat a day at selected Vietnamese orphanages. Contributing to the community, Tang told me in his e-interview, is something he always wants to do, whether by using Vietnamese music performance as fund raisers, as a focus for the Vietnamese students in Singapore to get together, or just to promote Vietnamese culture for anyone else who’s interested. Tang has pursued his passion for music with admiral tenacity. Once he discovered music at the age of 15, he pursued all opportunities to hone his skill, looking for mentors in Vietnam, taking part in competitions. Pham, says music has been his friend since he was a child. A seemingly gentler soul than Tang, he’s less vocal about pursuing music as a career. But he too is tenacious in pursuing his passion despite the difficulties of finding a practice environment and the small audience for Vietnamese music in Singapore. Both Tang and Pham have taken the opportunity to experience a broader range of music in Singapore. 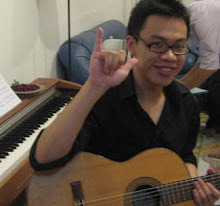 While studying at NUS, Tan was a member of the Guitar Ensemble, the Choir, the Jazz Band and the A Capella Group, taking the opportunity to be exposed to a wide range of music from Classical to Hebrew. Pham too has taken the opportunity to become involved in non-Vietnamese music, taken the chance ot listen to English, Chinese, Malay, Indonesian and Indian song, learning to sing Chinese songs, and taking part in a NTU singing competition. Who says these foreigners only hang around with their own kind? Both Tang and Pham are grateful to the Little Red Dot for the opportunities it’s given him to experience a different culture and a different range of music. 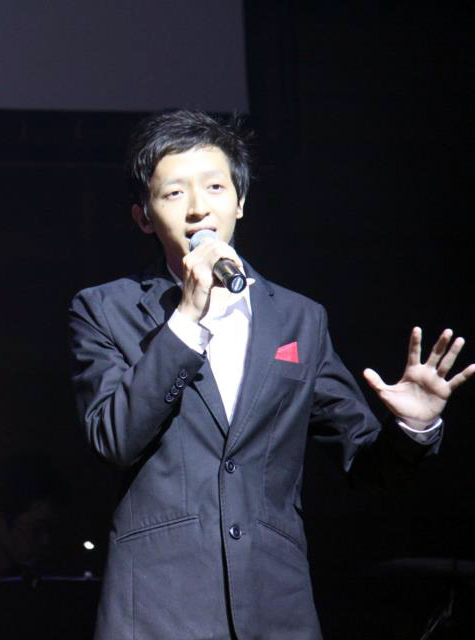 Tang sings as Richard Tang for non-Vietnamese but as Dat Hanh for his Vietnamese audience. As he says, there is no reason to leave the name his grandfather gave him. Despite being of Chinese ethnicity and having lived in Singapore since 2007, Tang still considers Vietnam his home. His music is deeply rooted in that tradition, and his target market will be Vietnam he says. Pham hasn’t been in Singapore long enough to even consider whether or not he will eventually make his home here. Like Tang, his primary musical influences are still Vietnamese, in particular the poet-songwriter Trinh Cong Son. I’m not sure that either of these two estimable young man will set down roots in our Little Red Dot. But, is this a reason for cursing, for saying they’re ungrateful? I think not. There’s the example of their diligence, their ability to balance, their passion. And then there’s their music. At the Trinh Cong Son concert in November, the whole of the 700+ hall at SOTA was filled. At the last song, “Washing with a Lullaby of Tears, Roi Le Ru Nguoi”all I could see were wet eyes. THOSE TEARS, THEY WERE ENOUGH FOR ME. THEY SHOULD BE ENOUGH FOR THE COUNTRY. We’re the most unemotional country in the world. We need people who can make art that will touch our hearts, that will reduce us to tears. Only then can we become a kinder gentler society. What does it matter if those angels who sing these tears into being leave after their sojourn. What do you think? Can foreign students really help us become a kinder gentler society? Let me know. Leave a comment.